Chief among them is how ongoing uncertainty about trade relations between the United States and China will affect energy exports, said Mike Sommers, CEO of the institute. Sommers told media ­during a Jan. 8 conference call in advance of the report’s release that if trade disputes with China do not end well, U.S. producers of natural gas could lose out on exports. Sommers noted that the oil and gas industries face big challenges in 2019, from infrastructure to possible new government regulations on fuel production. The report expressed concern that regulation could drive up the cost of fuel, finding 74% of Americans agree, in a Harris poll, that government regulations could factor into higher prices at the pump. “Government must recognize the limits of rigid mandates and guard against regulatory overreach,” the report stated. Sommers also sees opportunity when it comes to the practice in oil and natural gas fields of “flaring,” which is the controlled burning of natural gas when it is produced as a byproduct of oil and cannot be feasibly captured. Sommers said he would like to see refining infrastructure advance so that the gas can be utilized instead of burned off. The report was mum on forthcoming rules from the International Maritime Organization that will mandate the use of cleaner burning distillate fuel for ocean-going transport. The change means ships will shift away from higher-sulfur bunker fuel and begin using refined oil of the type that is converted to diesel. The change, to be phased in beginning Jan. 1, 2020, could put pressure on diesel supplies and prices in the United States. On a larger global scale, Sommers also endorsed the new trade agreement between the United States, Canada and Mexico. If approved by Congress, the USMCA will replace the North American Free Trade Agreement. Sommers noted that the U.S.-China trade disputes have affected steel prices, which affects the pipeline industries. Despite these challenges, the report also touted the transportation sector’s gains in cleaning up the air. “Every generation has its own defining challenges and its own defining accomplishments. We call this one ‘America’s Generation Energy’ because of a remarkable dual achievement: meeting record world energy demand while driving record CO2 emissions reductions. Thanks to America’s Generation Energy and its cutting-edge innovations, the U.S. energy outlook is stronger than ever,” Sommers said. 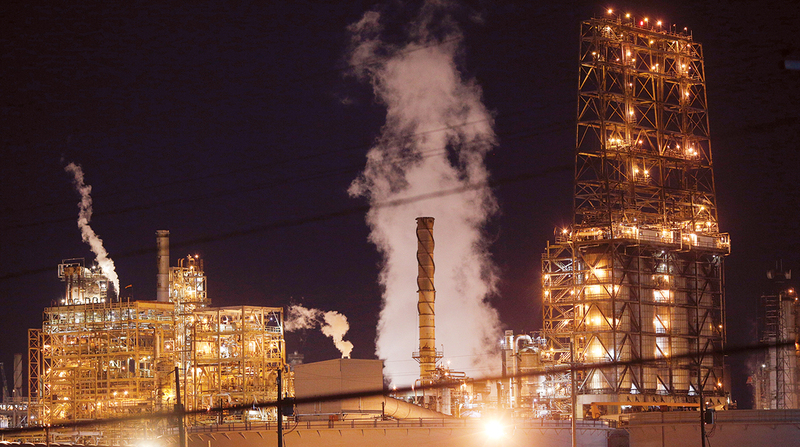 In addition, the report cited findings from a Harris poll of 1,000 registered U.S. voters on the issue of domestic refining. Conducted between Nov. 27 and Dec. 4, the study found 78% of respondents want to produce more U.S. oil and natural gas and 84% support building more U.S. energy infrastructure to produce more oil and natural gas. The poll also found 74% believe more government regulation could increase energy costs.